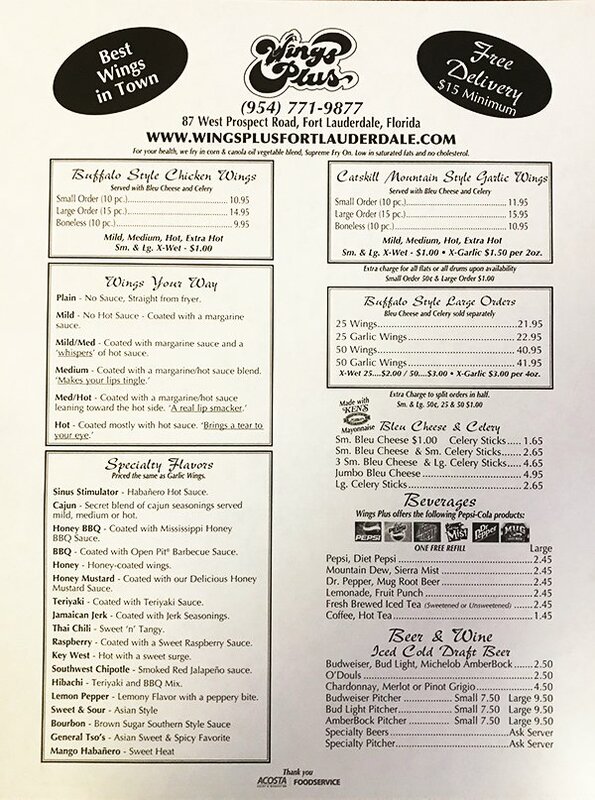 Wings Plus of Fort Lauderdale, Florida offers you a place to enjoy great food, excellent service, and the best wings in town! We are looking forward to providing you with the superior quality our customers have come to expect. Wings Plus of Fort Lauderdale, Florida serves amazing food in an atmosphere where you can kick-back and relax. Wings Plus serves more than wings! Come in and enjoy our sandwiches, soup, salad, and of course ... The BEST Wings in Town! If your not hanging out at Wings, you are missing a great time! Wings Plus — It’s a GREAT Time!